It is not everyday that you witness an impressive chopper on the strip. Of course, we all wish we would see the epic custom builds rolling through more often,. However, realistically the strip is often packed with vicious sports bikes. In this video we get the pleasure of indulging in a wild custom chopper motorcycle that has been built to dominate the strip! The rider of the bike holds on for dear life as it flies down the strip at lets out some impressive times! It is not often that you get to see action like this on the strip! 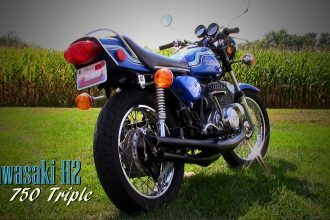 Equipped with a turbo engine the motorcycle is able to dominate and impress! Join in on the wild adventure on the strip by clicking the video below! Do not forget to comment on your thoughts! Danny Trejo\’s WICKED Custom Machete BIKE!! !